Our favorite fruit company WILL deliver an honest to goodness flat panel television — it is, perhaps, destiny. The details, however, are still closely held secrets. Nevertheless, where there’s missing or incomplete knowledge about an unreleased Apple product, there is always someone willing to fill the void and the long-rumored, never-seen Apple TV is no exception. The perp in this case is DisplayMate Technologies’ CEO and founder Raymond Soneira and he feels rather strongly that (News.com), when it ships, the full-on flat panel Apple TV will deliver Cupertino’s trend-setting Retina display technology. And, we all know how much Apple loves consistency and isn’t afraid to sell high-priced stuff, which a 50-inch or larger Apple TV would most certainly be — seriously, it will be 4K resolution or higher. Patently Apple, a website that is fully engaged (OCD style) with the mothership’s filing around the world, has been crawling around inside an Apple trademark filing made in Hong Kong. 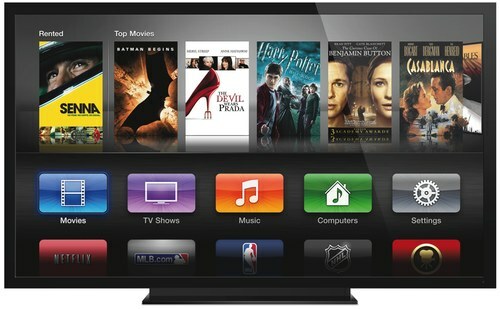 So, do you think a big-screen Apple TV is inevitable and will it arrive with pixel-doubled Retina technology?